AURORA WATCH: Northern sky watchers, be alert for auroras tonight. A solar wind stream is buffeting Earth's magnetic field and causing intermittent geomagnetic storms. CRESCENT MOON ALERT: The Moon is putting on a show in the sunset sky that began on Sunday, April 6th, and climaxes on Tuesday, April 8th, when the crescent Moon passes almost directly in front of the Pleiades star cluster. The delicate conjunction of Luna and the Seven Sisters is something you won't want to miss: sky map. "At first I couldn't see the Moon," he says, "and then it appeared in my binoculars through a hole in the clouds. After 20 years of preparation I was ready to take the picture." 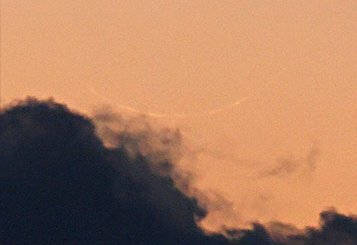 The view improves tonight, April 7th, when a still-slender 6% crescent materializes higher in the sky, well away from the glare of the sun. Set against the cobalt-blue of early evening, the Moon reveals its lovely da Vinci glow, a pale impression of the full Moon inside the vivid crescent. Take a look! But be careful, this is perilous beauty. This is the Mozart, the crater. MESSENGER took the picture on January 14th during the spacecraft's historic flyby of Mercury. On that planet craters are named for people who have made important contributions to the arts--e.g., Mozart, Vivaldi, Matisse and others. 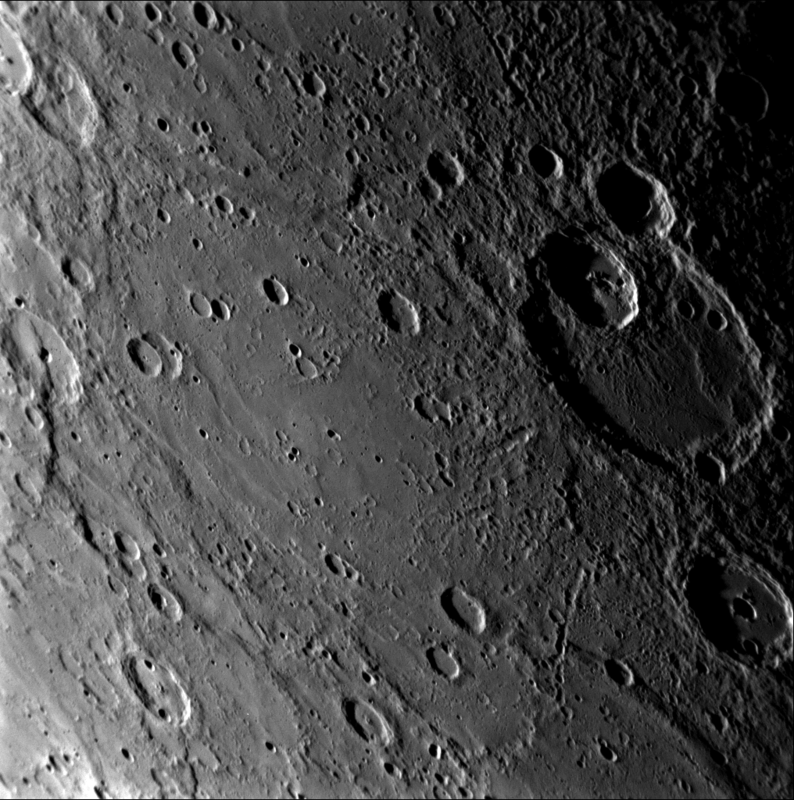 Crater Mozart was christened in the 1970s after its discovery by Mariner 10, the first spacecraft to visit Mercury. MESSENGER's new picture of Mozart shows something Mariner 10 missed: strange dark markings on the crater floor and dark rays shooting across the crater's upthrust rims. What is this material? 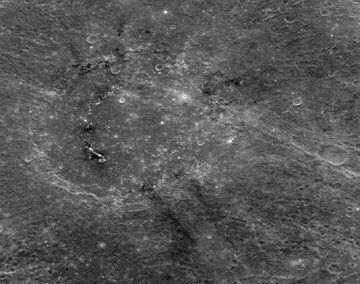 No one knows, but it is probably kin to the mysterious dark halos found around other craters in nearby Caloris Basin. Spectral data gathered by Messenger and being analyzed now by mission scientists may yet reveal Mozart's composition. On April 7, 2008 there were 946 potentially hazardous asteroids.